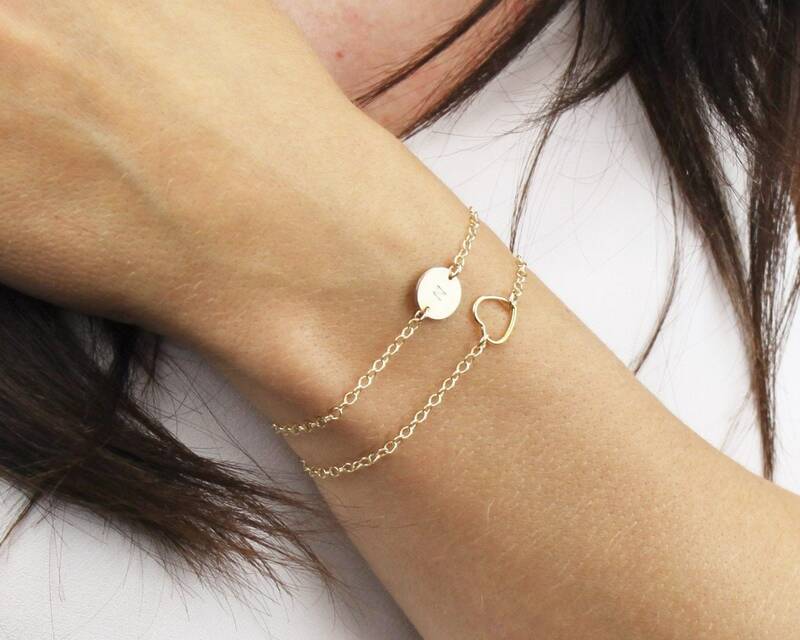 This dainty initial bracelet is meaningful and stylish. 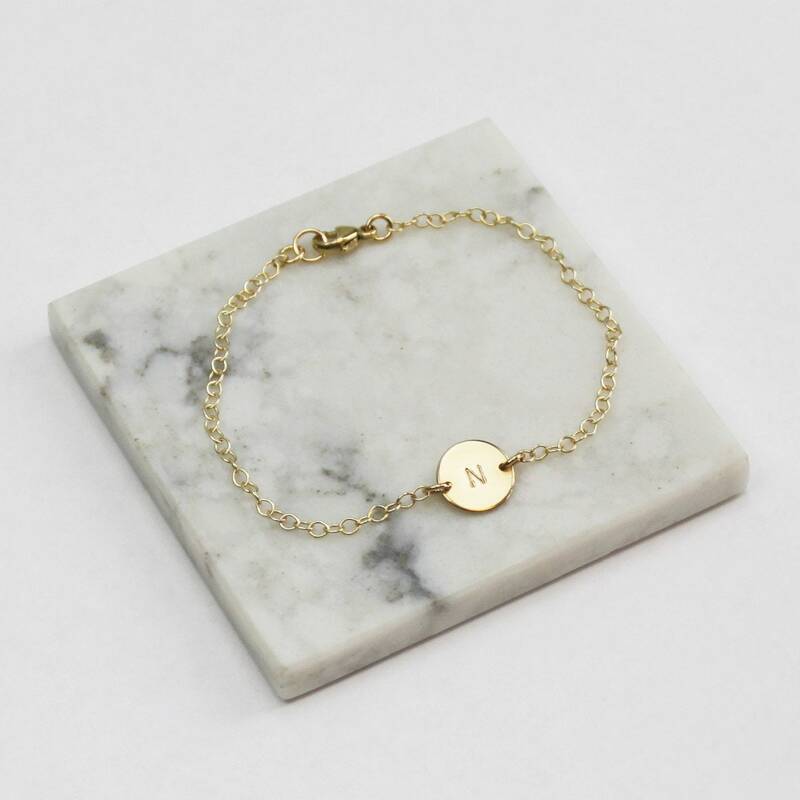 This is the perfect for everyday, choose to wear your initial or the letter of your favorite person. 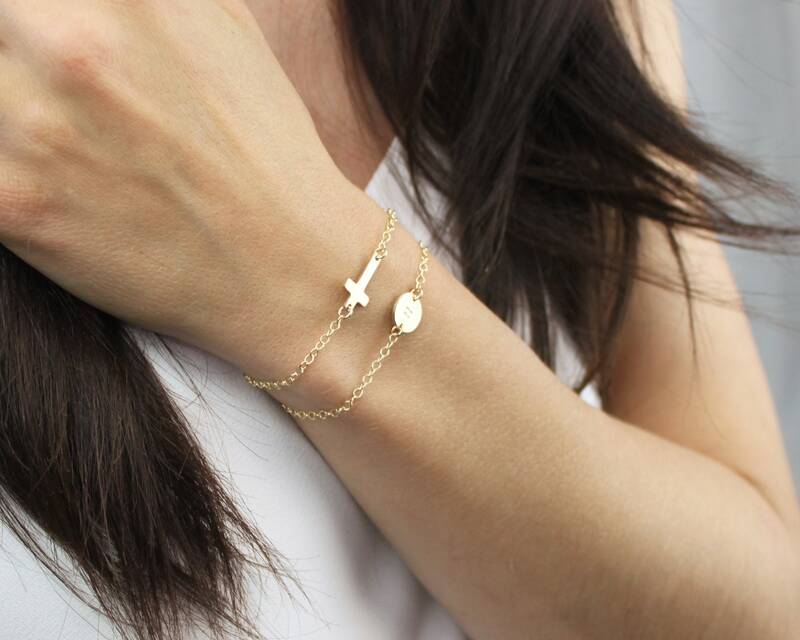 -Disc and chain are high quality 14kt gold filled, sterling silver and rose gold filled - not plated. - Fits most sizing 6.5 inches small - 7.0 is medium and 7.5 large. 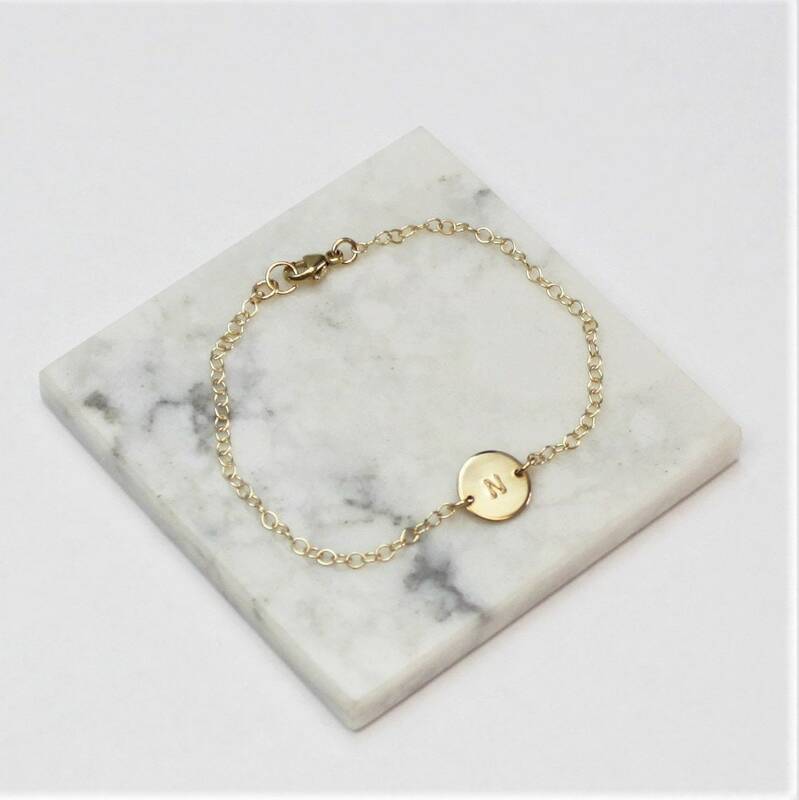 -kindly leave your details in the note to seller box that will show up after you add the item to your cart. Just like the photo! Packaging was very pretty.